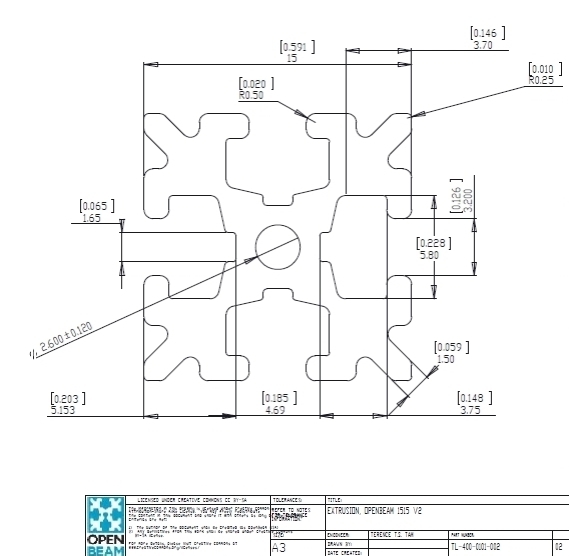 Specifications MakerBeam, MakerBeamXL and OpenBeam with a drawing showing a detailed cross section. > Beams in 'end of line'-category do not have threaded holes each end. 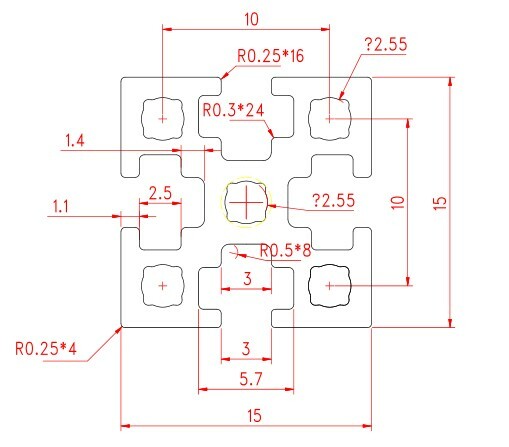 - size nuts and bolts: M3, each of the 4 slots are designed to capture a regular DIN934 M3 nut. - brackets: different types and angles, see shop. OpenBeam brackets are all MakerBeamXL compatible. A number of MakerBeam stainless steel brackets are MakerBeamXL compatible. 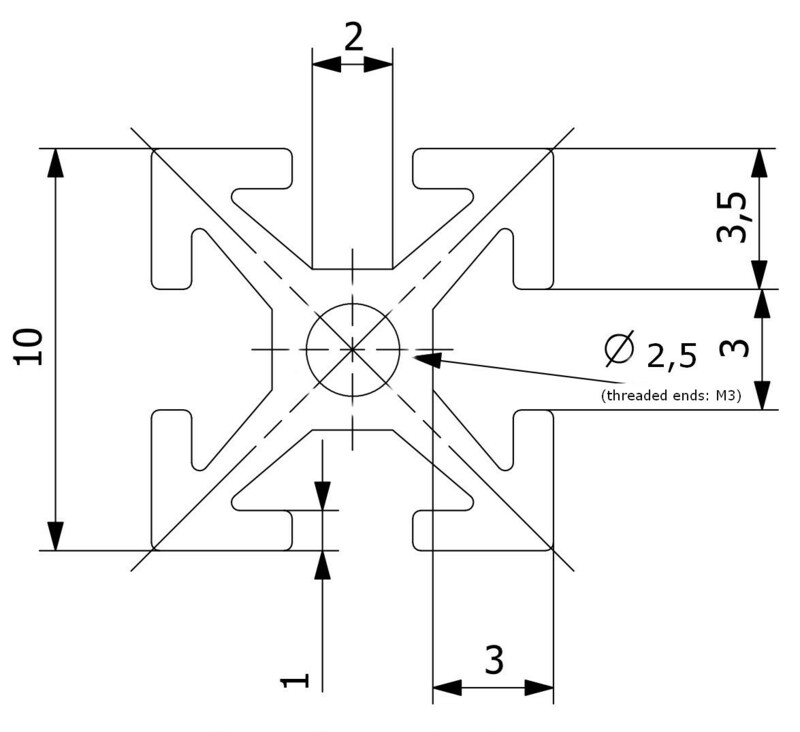 Fun fact: MakerBeamXL is fischer technik compatible. - hollow core: the hole that runs down the extrusion is sized for an M3 sized tap. anywhere along the beam. Adjusting and tuning an OpenBeam frame is therefore very easy. MakerBeamXL stainless steel brackets are all OpenBeam compatible. A number of MakerBeam stainless steel brackets are OpenBeam compatible.